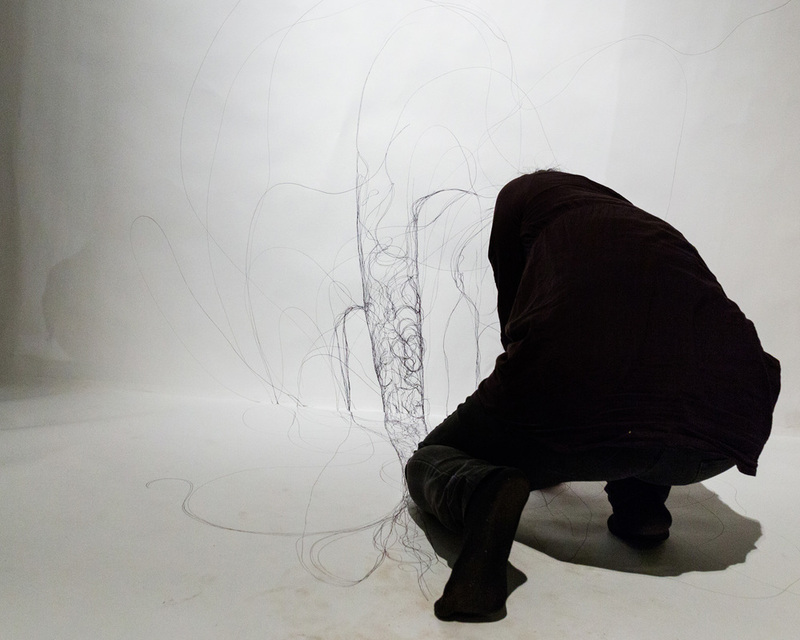 Performed at DRAW TO PERFORM2: International Symposium for Drawing Performance on 16 May 2015, NUMBER 3, London, UK. The work is inspired by the notion of reality as a fabric, that if it could be woven then it could be unwoven and rewoven. 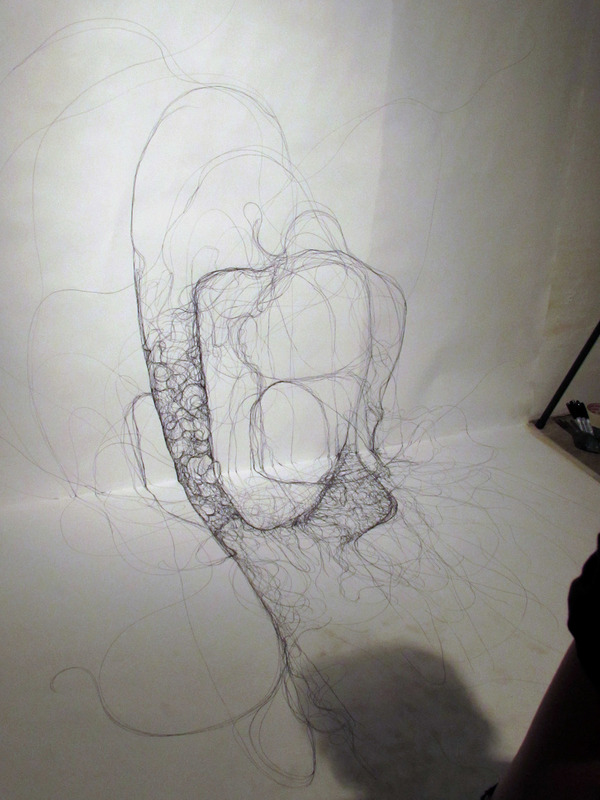 The artist drew on two planes (the wall and the floor), with the aim to create another reality that could only be viewed from a certain point in space with her thread like lines. Read the comic "1 + 1 = 3" that complements this performance. Photography by Marco Berardi,Lefteris Savva and Justin Fung.